Jason Humphries, 40, of Wilton Road, Bexhill, pleaded guilty to driving a Vauxhall vehicle on Harley Shute Road, St Leonards, on May 25 last year, while over the drink drive limit. He gave a blood alcohol reading of 175 milligrams. The legal limit is 80 milligrams. He was fined £270 and banned from driving for 42 months. Gary Jones, 34, of Holmhurst Lane, St Leonards, pleaded guilty to driving a Skoda vehicle on London Road, Bexhill, on June 8, without due care and attention. He was fined £380 and his driving record endorsed with seven penalty points. Daniel Fantham, 40, of Hurrell Road, Hastings, was found guilty of assaulting a woman by beating her. The offence took place at Hastings on September 1. The court made a community order with a requirement of 100 hours of unpaid work and ordered him to pay £310 in prosecution costs. 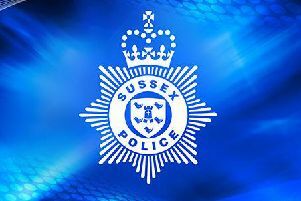 Jake Moore, 20, of Southwater Road, St Leonards, pleaded guilty to driving a Rover car on St Margarets Road, St Leonards, on June 4 while disqualified. He also pleaded to driving with no insurance and test certificate and to driving with cannabis in his blood stream on the same date. He pleaded guilty to causing £183.58 damage to a shop window at Havelock Road, Hastings, on November 3 and to causing £190.32 damage to a police vehicle on the same date. The court made a community order with a requirement of 100 hours of unpaid work and banned him from driving for three years. He was ordered to pay compensation for the damaged window and police vehicle. Chel Dicesare, 24, of Lea Avenue, Rye, pleaded guilty to being the owner of a Japanese Akita - German Shepherd cross dog that was dangerously out of control at Ivyhouse Lane Holiday Park, Hastings, on May 21 last year. Magistrates gave her a one year conditional discharge and ordered that the dog Isla be destroyed, unless an appeal is lodged. The Bench were not satisfied that the dog did not constitute a danger to public safety. Adesanya Odubena, 54, of Bembrook Road, Hastings, pleaded guilty to harassment of a woman by sending her a large number of unwanted and unsolicited messages. The offence took place at Hastings between July and November last year. He also pleaded guilty to growing 17 cannabis plants at Hastings on November 11. The court made a community order with a requirement of 100 hours of unpaid work. Magistrates also issued a restraining order. Nathan Higgins, 20, of Cambridge Road, Hastings, pleaded guilty to two charges of assaulting a woman by beating her. The offences took place at Havelock Road, Hastings, on November 28 and at Queens Road, Hastings, on December 9. The court made a community order with an alcohol treatment requirement and a requirement of 140 hours of unpaid work. He was ordered to pay £50 compensation. A 17-year-old Hastings youth, who cannot be named for legal reasons, pleaded guilty to driving a car in Hastings on June 15 last year with cannabis in his bloodstream and to driving with no licence or insurance. He was referred to the East Sussex Youth Offender Panel. Dean Spencer, 44, of Seaway Gardens, St Mary’s Bay, Romney Marsh, was found guilty of being in possession of a quantity of heroin at De La Warr Parade, Bexhill on June 29. He was also found guilty of being in possession of two knives in a public place at Bexhill on the same date. He indicated a plea of guilty to stealing vehicle registration plates from Rye on June 28. He was committed to Lewes Crown Court for sentencing. Chris Allen, 35, of Mayfield Avenue, Stoke on Trent, pleaded guilty to an offence of fraud, involving £1,200. The offence took place between December 1 and December 31 2016 when he was working as an office manager in St Leonards. He altered bank account payment details on an invoice sent to a customer so the money went into his own account. The court made a community order with a requirement of 200 hours of unpaid work and ordered him to pay £1,200 compensation. Scott Johnstone, 31, of Georgian Close, Bexhill, pleaded guilty to causing £778 damage to the sliding door of a taxi. The offence took place at Eastbourne on July 1. He was fined £270 and ordered to pay £778 compensation. George Leigh, 24, of Alfred Road, Hastings, pleaded guilty to damaging the wing mirror of a Hyundai car. The offence took place at Hastings on June 3. He was fined £300 and ordered to pay £100 compensation. Harvey Pickup, 34, of Forewood Rise, Crowhurst, pleaded guilty to assault by beating. The offence took place at Hastings on May 11. The court made a community order with a requirement of 150 hours of unpaid work and ordered him to pay £150 compensation. Jason Bown, 44, of Redwell Avenue, Bexhill, pleaded guilty to assaulting a woman by beating her. The offence took place at Bexhill on July 18. The court made a community order. Mark Knight, 58, of Crowmere Avenue, Bexhill, pleaded guilty to using threatening behaviour and to wilfully obstructing the free passage along a highway at Crowmere Avenue on July 9. The court made a community order with a requirement of 100 hours of unpaid work. Tristan Redford, 22, of Mayfield Way, Bexhill, pleaded guilty to driving a BMW on Battle Road, St Leonards, on July 10 with cannabis in his bloodstream. He was fined £250 and given a three year driving ban.